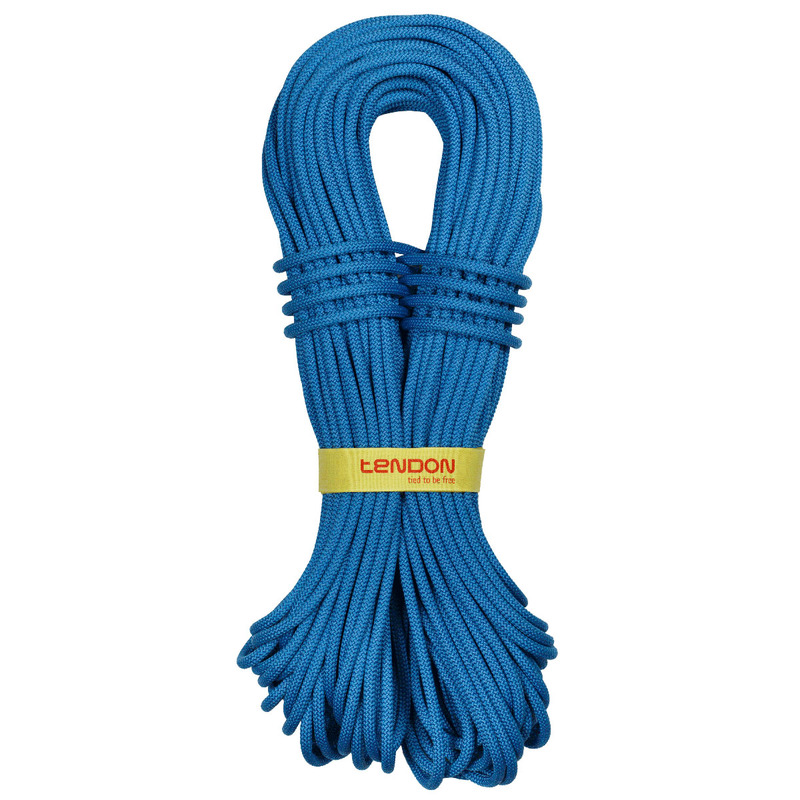 The Tendon Lowe 8.4 is one of the lightest double ropes in relation to its diameter, which means it’s comfortable to climb and belay with, but without the added weight associated with ropes of its diameter. Ideal for multi-pitches and alpine climbing, the Lowe 8.4mm features Tendon’s Complete Shield, which means it’s dirt, water resistant and abrasion-resistant, and is classed as a double rope, making it great for alpine climbs or difficult multi-pitches where every gram saved makes a difference. Complete Shield is Tendon’s proprietary form of rope protection. Named Nanotech Teflon Eco technology, it is a special coating made up of tiny particles which help to block out water and dirt, and resist abrasions. This coating is applied to every single fibre in the core and sheath of the rope to provide maximum protection. All tendon ropes contain a microchip that links up to your smartphone or computer, which allows you to register your rope and provides you with all the information about it, such as the date of manufacture and specifications. Tenote also gives you advice on how to maintain your rope and updates you on any changes in the rope’s technologies. Tendon use a special bonding process which binds the sheath and core of the rope together in the last 15mm, so they become one unit. This increases durability and longevity, and reduces slippage. All ropes have a date of manufacture printed on them - if you’d like to know the date of manufacture for a specific rope, don’t hesitate to contact one of our Gear Geeks via the chat window.